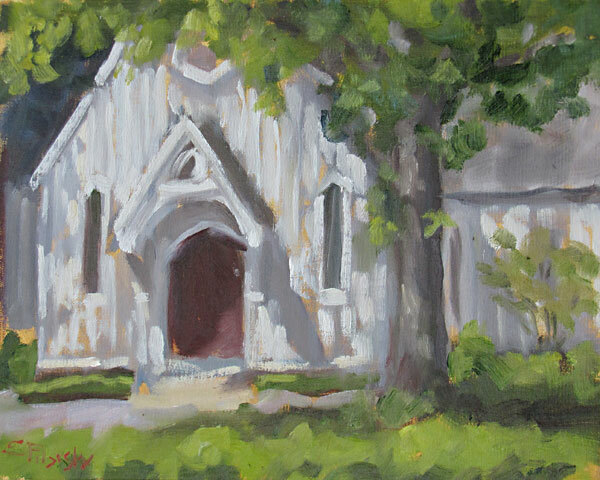 St. Mary's chapel, painted on location. 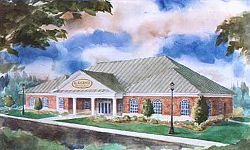 A rendering of the SRI Shoe Warehouse, Raleigh, NC. 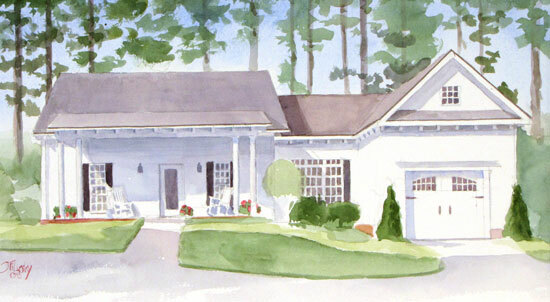 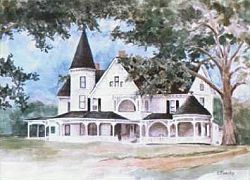 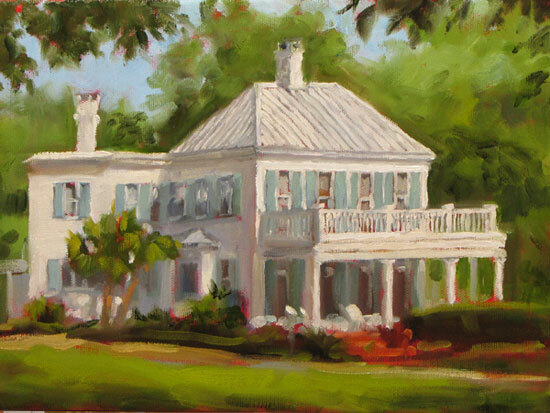 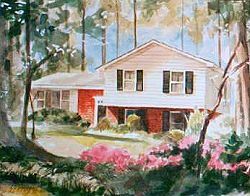 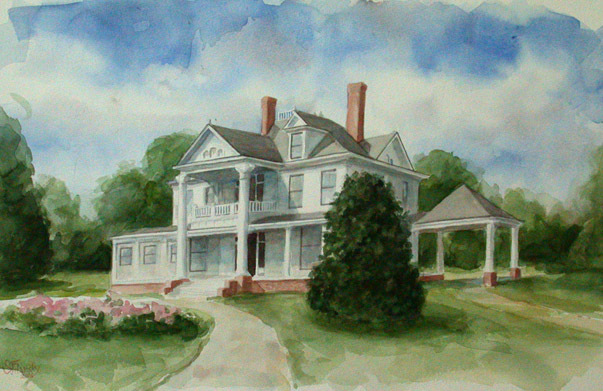 This painting was created from the blueprints before construction began. 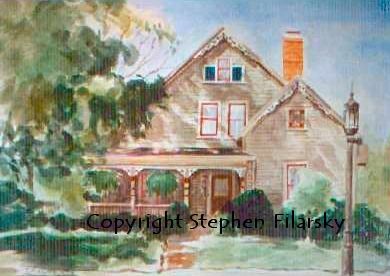 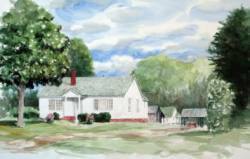 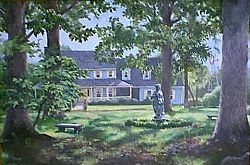 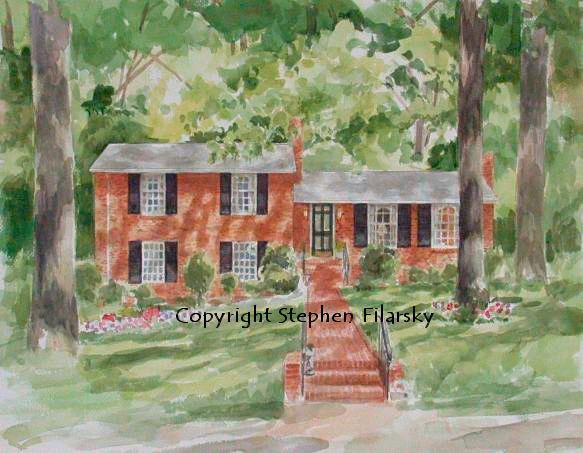 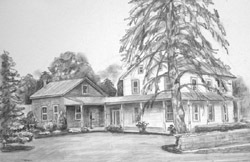 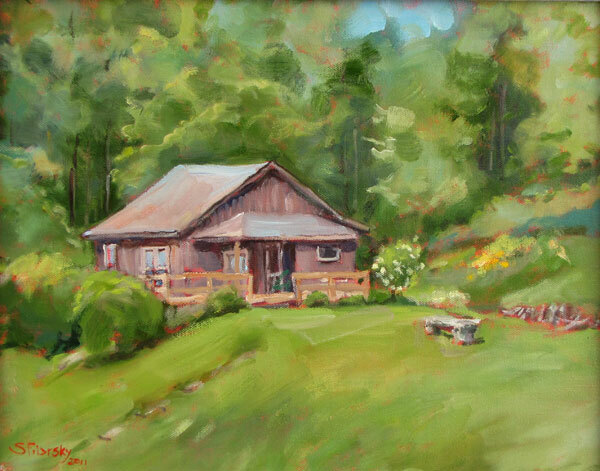 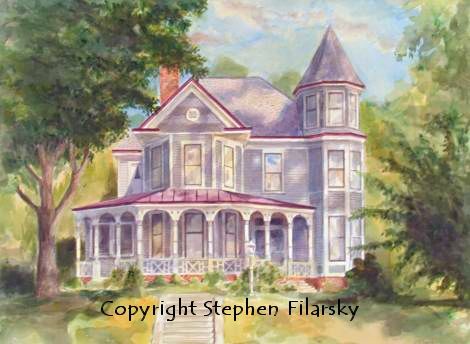 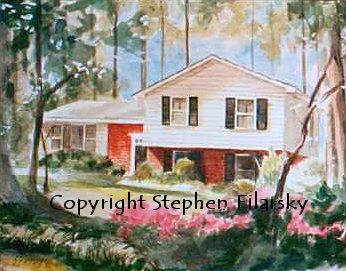 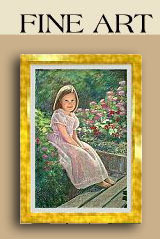 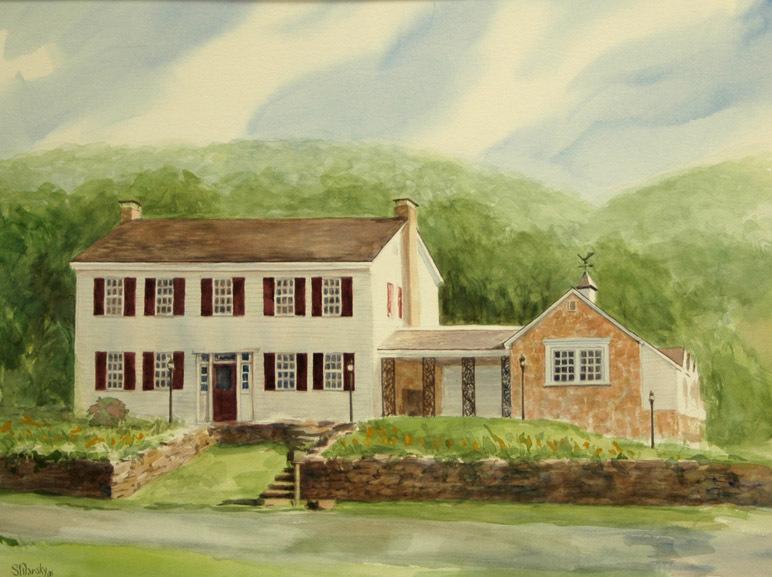 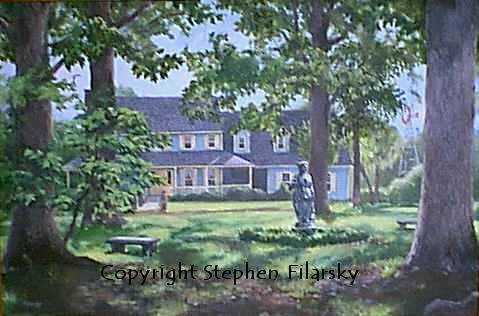 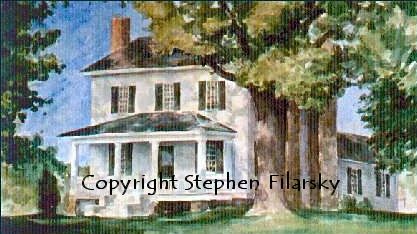 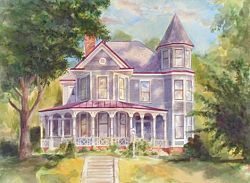 This portait of a family farm was created from old photos, some newer photographs of the house and lots of memories.